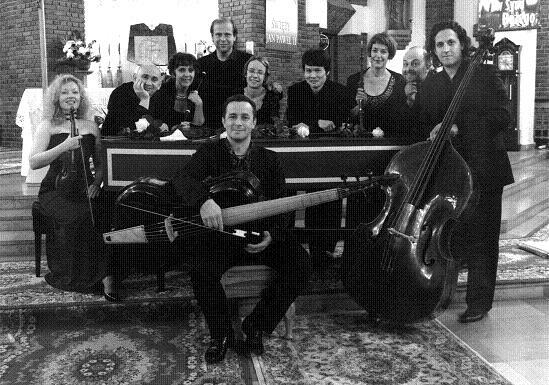 Antonio Vivaldi: Le quattro staggioni — traditional Music in an untraditional performance by a Slovak-Austrian band. Monday 4 May 2015 20:30 (the club opens 19:00) — Metro Music Bar, Poštovská 6 (Alfa-Pasáž), CZ–60200 Brno. Collegium Wartberg (SK) — Ján Krigovský (artistic leader). Collegium Wartberg presents Vivaldi’s renowned violin concert cycle Le quattro staggioni (the four seasons) in a new musical fusion, free unfettered jazz-baroque musical imagination and improvisation. Nowadays it is no longer surprising to link centuries and create imaginary bridges between early and contemporary music. The program offers a profound artistic experience, but also relaxation and emotion of the human mind, to the boundaries of the possible understanding of the musical text and the human imagination. Collegium Wartberg is a civic association, which loosely joins professional soloists, musicians, singers, dancers and members of Slovak and foreign orchestras and ensembles, together with enthusiasts and promoters interested in jazz, folk and other musical genres. Founder of Collegium Wartberg is the internationally acclaimed artist and double bass player John Krigovský. The idea of the Collegium Wartberg association goes back long time. The premiere took place on 1 May 2012 at the international year-round beneficial music festival Musica Perennis Iuventus in Senec, for which Collegium Wartberg also is organizer. “Music and dance at the court of King Louis XIV in Versailles” was the first program played on baroque instruments and supported by a dance workshop. Collegium Wartberg cooperates with many internationally recognized Slovak and foreign artists and ensembles, such as Ars Antiqua Austria, Neukirchen Kammerorchester, Bella Musique Orchestra New York, Ilja Korol, Dalibor Karvay, Jeremy Joseph, Marian Gašpar, Fritz Kirchner, Gunar Letzbor. It offers art and music of different styles, from Baroque and Classical music played on period instruments, through the romantic and contemporary music, to jazz and folklore — in the highest quality. During its brief existence, Collegium Wartberg also shows its quality and diversity by the fact that it already in 2013 appeared in Wiener Konzerthaus, Brucknerhaus, Germanisches Nationalmuseum Nuremberg and also in well-known Slovak festivals. A successful project was “Winterreise” (J. Krigovský, Jeremy Joseph), a free-jazz melodrama for organ, harpsichord, piano, 8-stringed violone, double bass and recitation, dedicated to the 185. anniversary of Schubert’s death, recorded on DVD by the renowned camera man Ján Duriš and director Jozef Slovák (2013). For 2015 are planned the CD recording “Die Forelle” (F. Schubert, J. N. Hummel, V. Didi) and a debut solo CD with Ján Krigovský “400 years of double bass in Slovakia”. Later additions were Collegium Wartberg Dance Company (2013) and Collegium Wartberg Young (2013). Collegium Wartburg has performed with some 200 musicians. Ján Krigovský studied in the years 1990 – 1995 at the Academy of Performing Arts Bratislava (Radoslav Šašina) and in the years 2001 – 2002 at the Schola Cantorum Basiliensis, specializing on playing the double bass in the so-called Viennese tuning (David Sinclair). His centre of interest is the interpretation of chamber and solo music as well as orchestral playing. As a chamber musician he works with many ensembles, such as Wiener Accademie (Martin Haselböck), Ars Antiqua Austria (Gunar Letzbor), La Cetra Basel (Ciara Banchini), Capriccio Basel, Freitags Accademie Bern, Royal Orquestra Catalunia (Jordi Savall), Collegium Marianum Praha (Jana Semerádová), Collegium 1704 Praha (Václav Luks), La Fioritta Basel, Freiburg Barock Orchester home and with Alea (Head Boris Lenko), a domestic ensemble for contemporary music. His artistic partners were, among others, Bohdan Warchal, Ewald Danel, Peter Zajíček, Miloš Valent, Alexander Jablokov, Jozef Podhoranský, Magdaléna Kožená and the conductors Claudio Abbado, Serge Baudo, Jordi Savall, René Jacobs, Sigiswald Kuĳken, etc. 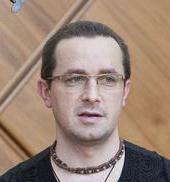 As a soloist he has performed with Capella Istropolitana, ŠKO Žilina, Musica Aeterna and with many foreign groups, such as L’Orfeo in Linz, Capriccio Basel, Konzerthaus Vienna and Musikverein Vienna. He has performed at a number of major European festivals (Wiener Festspielwochen, Salzburger Festspiele, Festspielwochen in München) and at early music festivals in Italy, Austria, Switzerland, Germany, Netherlands and Spain.